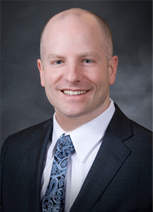 The tummy tuck operation is typically for men or women with excess skin or fat in the lower abdomen. After women have children they are often left with the excess skin of pregnancy that will not go away regardless of the amount of exercise and dieting performed. Furthermore, the abdominal muscles are stretched in the midline. The goal of the tummy tuck is to tighten the abdominal muscles and remove the excess fat of the lower abdomen through one incision placed below the bikini line. There are varying degrees of tummy tuck depending on how much skin and fat there is requiring removal. The mini-tummy tuck involves a smaller incision between the hip bones and below the bikini line with no incision around the belly button. The mini-tummy tuck is ideal for people with abdominal muscular laxity and a minimal amount of excess skin and fat in the lower abdomen. The standard tummy tuck requires a longer incision allowing more fat and skin to be excised. 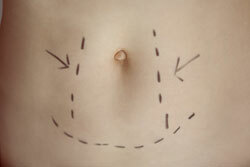 An incision around the belly button is necessary with this operation to allow the greatest degree of fat removal. Dr. Sanderson may include liposuction to the "love handles" or flanks with either operation in order to achieve the best possible results.